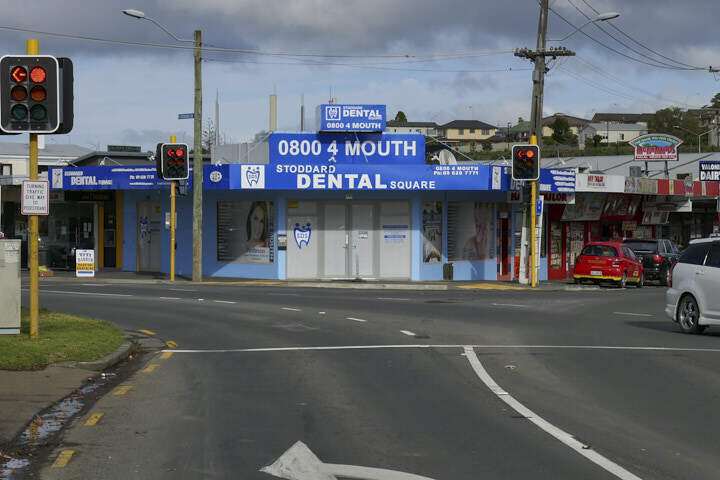 You can’t overlook it in its blue glory: going south along Richardson Road, the intersection with Stoddard Road is dominated by this shade of blue, and then you realise, it is the “Dental Square” (SDS for Stoddard Dental Square). Make a statement! That’s a good shade of blue.